From February through April, Fridays were crazy, busy. I joined a homeschool co-op last December, and my daughter and son took classes at co-op during the late winter/early spring months. Our Friday morning schedule consisted of me waking up at 6:00, getting the kids up around 7:00-7:20, all of us going to drop my husband off at work (the "joys" of being a one car family), coming home, the kids eating breakfast, having my kids take a rest (they are used to waking up after 8:00), making a packed lunch for them, and going to co-op. While my children were perfectly happy with their usual sandwich and yogurt, I wanted something different. Luvo frozen meals helped save my sanity as I was trying to get everyone out of the door no later than 11:30 AM. I would put the meal in the microwave around 11 and eat it before heading out the door to our co-op classes. Each meal has full serving of vegetables, whole grains, and proteins that are flash frozen in a steam pouch. Unlike most brands that load up on sodium, Luvo flavors their food with herbs and spices. They never use any artificial colors, flavors, or sweeteners. To find where you can buy Luvo, go to their store locater. Whenever possible, organic and non-GMO ingredients are used. 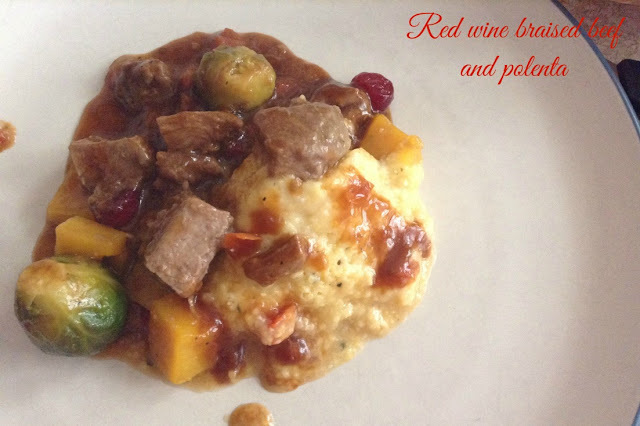 The red wine braised beef and polenta was a little bland when I tried it, so I added a pinch of salt which brought out the flavors much better. The thai-style green curry chicken was my favorite, and it was spicy enough for my taste. What meal would you like to try from Luvo? 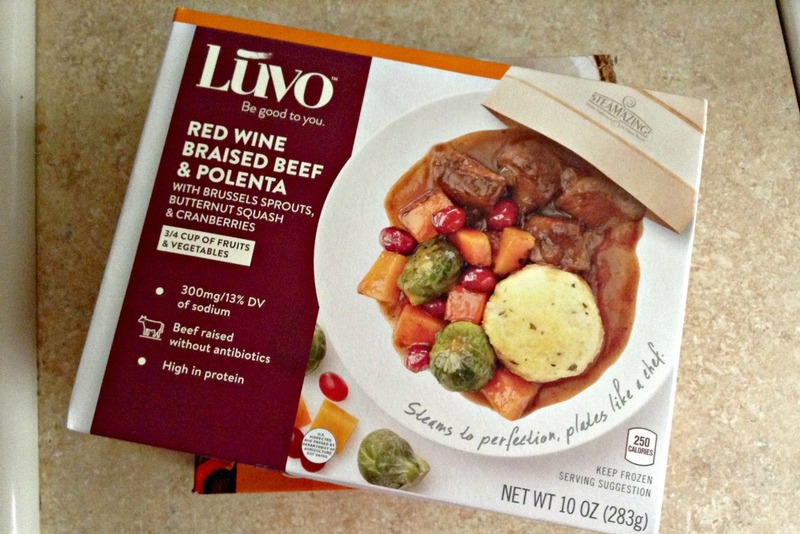 I received free coupons from Moms Meet for the purpose of reviewing Luvo meals.